I’m still suffering from shin splints. I’m trying not to think about how far I’m getting behind on my training. At this point, I just hope to be healed enough to cross the finish line. We had another arctic front come in Monday evening, so we had a few really cold days. The wind chill on Tuesday morning was close to 0, and the actual temperature was 9 degrees on Wednesday morning. By the weekend, we were up into the mid-70s with thunderstorms on Sunday afternoon. Of course, I was unable to enjoy a run in the nice, warm weather. I did stick to my regular two Body Pump classes, even though I had to brave the cold to get there. 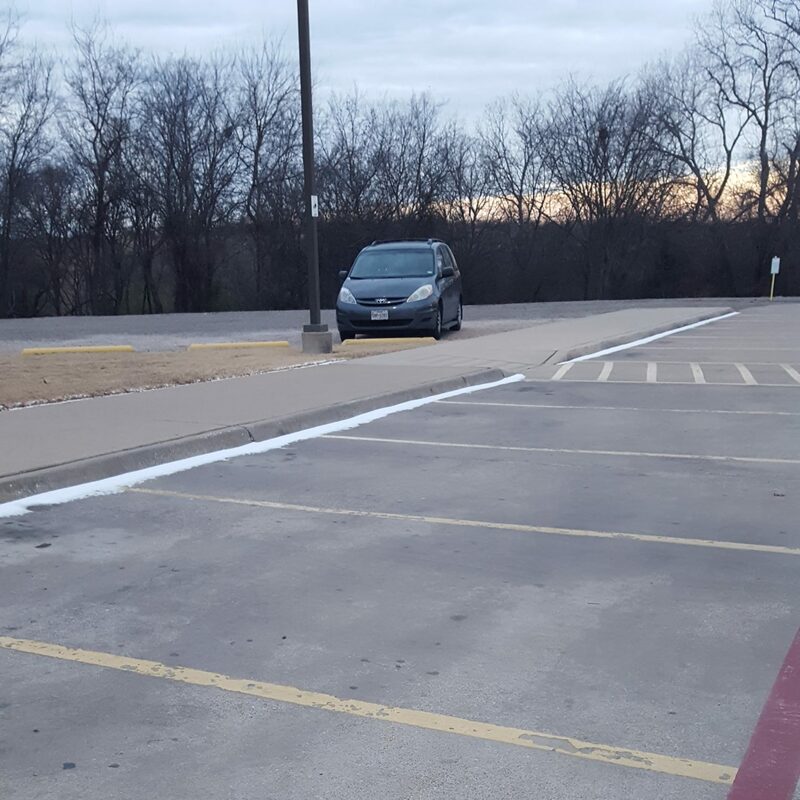 We even had snow Tuesday morning, so I snapped this picture leaving the gym to prove it. By the end of the week, my shin was feeling a little better, so I’m hoping for at least a short run by next Saturday.